Photo: Courtesy of Entertainment Weekly. The name Marcia Wallace may not be familiar to many, but Edna Krabappel — the character she voiced on The Simpsons for the past 24 years — is. This week Wallace passed away at the age of 70 after a long illness. Her exact cause of death wasn't revealed, but Wallace survived a bout of breast cancer 28 years ago (she was awarded the Gilda Radner Courage Award in 2007 for her activism work). 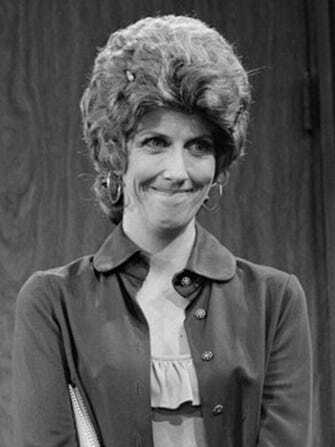 The actress got her start on the stage, before jumping over to TV and appearing on The Bob Newhart Show as Carol Kester. She then became a game-show regular (Match Game, Hollywood Squares, and The $25,000 Pyramid) and started guest-starring on primetime shows like Murder, She Wrote and Full House.